The scene that just unfolded is actually a good example of what a conversation with an Aspie can be like. (Or at least, I can certainly remember having conversations that went that way with classmates my age.) It may not seem like it, but I think Luna is trying her best to politely participate in the conversation in this scene. It can be a challenge to keep a conversation going with an Aspie. 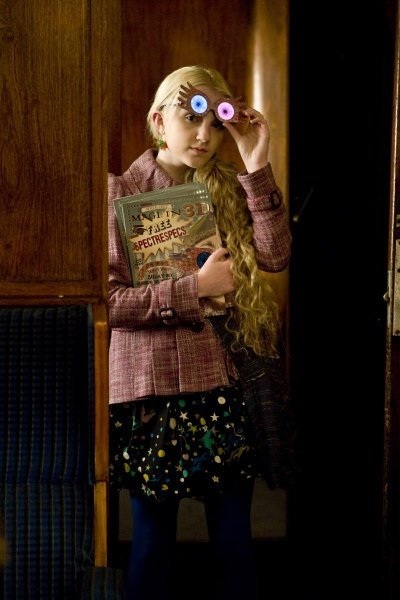 Hermione actually started out really well by commenting on something literal and specific, Luna’s necklace. The intense focus on details that tends to come along with Asperger’s means that, as long as the topic is something I have “data” about, my mind almost instantly brings up a catalog of information to answer with. Assuming I’m not stumped for something to say, there are still a couple of pitfalls that can derail a conversation at this point. One is to give a response that answers the question but doesn’t suggest anywhere for the conversation to go. For example, suppose someone messages me on my computer asking “Hey, what are you doing?” and I respond “I’m going to watch a movie.” I have answered their question directly and fully. If it were a question on a test, I should expect full credit. A better response might be something like “I’m going to watch Harry Potter and the Order of the Phoenix. Have you ever seen that one?” Providing more information (and especially asking a question) tells the other person that I want the conversation to continue. The other extreme can happen if the conversation turns to a topic that falls under an Aspie’s specific area of interest. “Finally, we’re talking about something I love!” I think, and a ten-point lecture begins spilling out in a burst of enthusiasm. This has a tendency of scaring the other person away. If I had to guess, Luna has already discovered that most people aren’t interested in hearing about creatures that they think are figments of her imagination or made up by her father’s silly tabloid. It’s part of why they tease her. 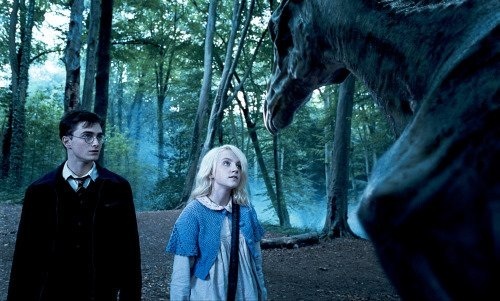 Even though she could surely regale Harry, Ron, and Hermione with all sorts of fascinating facts about Nargles, she holds back from saying more. I think this is either because she has been made cautious by previous experiences of trying to share about her strange obsession, or because she is trying to be polite by not dominating the conversation. In either case, Luna’s caution proves justified, as none of the others is interested in hearing about more creatures that quite possibly don’t exist. They’re uncomfortable saying any more because they don’t want to hurt Luna’s feelings by letting her know how strange she seems to them. And so the group falls silent.